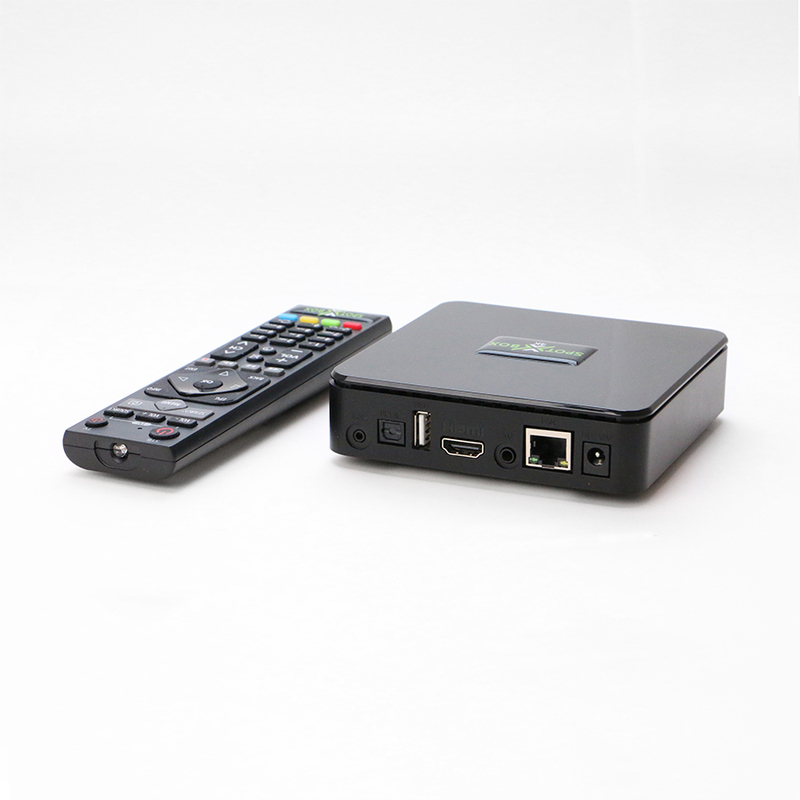 ANT-37000 SpotBox4K 4K UHD HDMI Input H.264 & H.265 4K Video Decoder, capable of up to a maximum output and decode resolution of 3840 x 2160 for a single stream, and up to 16 URL streams decode in resolutions from 480P ,720P to 1920 x 1080 P60 using an IP LAN ethernet connection. Can discover & display most IP streams and conformant to the most widely used CCTV standards. A single view can decode 3840×2160 P30 or 1920x1080P60 and these can be automatically switched for up to 32 cameras. Available viewing modes of full screen , quad view 9 view and 16 view on either a 4K or 1080P monitor. In 4K display mode all cameras are displayed in their native resolution, no scaling. Auto discovery of cameras or manual entry of RTSP URLs makes this box very easy to program as it finds all discoverable cameras on a network. The box can also automatically select the best profile for a particular view. This ensures you get best possible clarity in each view. Control of views and selection of an individual camera is done via the IR remote control or this can be programmed as a sequence. Auto reboot into a specific view is available and fail safe reboot after power cut. No OS to manage or keyboard and mouse or licence per camera..all included. 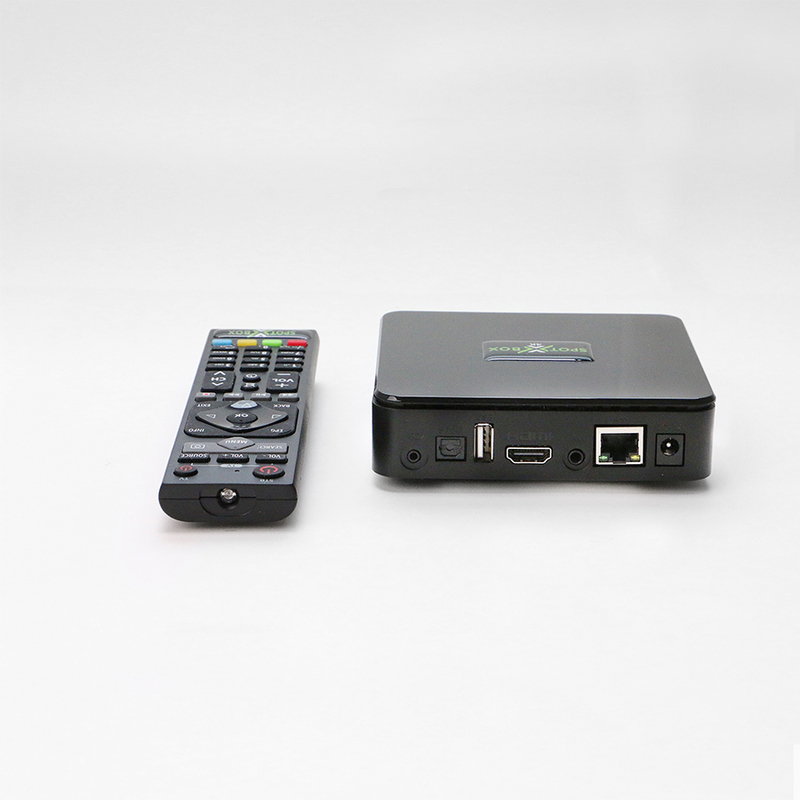 The SpotBox4K is both a H.264 & H.265 video decoder and is designed as a low cost, PC-Less way to view and display Ip camera streams in Ultra high resolution onto a 4K/1080p screen or monitor. Multiple streaming formats are supported such as Up to 32 URL’s, MPEG-TS, ONVIF & RTSP Streams Supported. 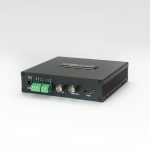 The decoder is powered via 12V D/C power converter supplied with multi country connectors. A full SDK is available for control of multiple boxes and a web interface for setup and firmware upgrades.Firmware is being updated constantly to give more features and capabilities to the Spotbox4k. Firmware upgrades are free and no decode licenses apply. 1. Full Screen Mode – up to 4K resolution. In this mode 1 camera will display in full screen mode, you can then programme up to 32 cameras which will cycle through one after another. One the cameras have been cycled through the view will return to the beginning. 2. Quad Screen Mode – display 4 x 1080P60 streams on a 4K monitor. You can programme up to 32 cameras to display and view them in quad mode (4 cameras on screen) – after this it can be programmed to switch to another quad screen of cameras (a different set of 4 cameras on screen). 3. 9 Camera Display Mode – Display 9 x cameras on a monitor (resolution scaled to monitor used). You can programme up to 32 cameras to display and view them in 9 camera display mode (3×3) – after this it can be programmed to switch to another view of 9 cameras (a different set of 9 cameras on screen). 4. 16 Camera Display Mode – Display 16 x cameras on a monitor (resolution scaled to monitor used). You can programme up to 32 cameras to display and view them in 16 camera display mode (4×4) – after this it can be programmed to switch to another view of 9 cameras (a different set of 9 cameras on screen). If you are interested in the ANT-37000 and reside in the USA, please visit our US page. In the Box Contents Decoder , 12v Power Supply & Lead , HDMI, IR Extender. Bracket available seperateley. Use in place of NVR / DVR / VMS as a way of viewing cameras, and utilising edge recording on the IP cameras. In residential properties the box can be connected to existing TV as additional source / input to view residential / business ip security cameras. This product is not limited to the markets and applications.